This is an excellent handmade gift for all men. It is made of bovine leather and lined with kangaroo leather.It is hand-printed with natural leaves. 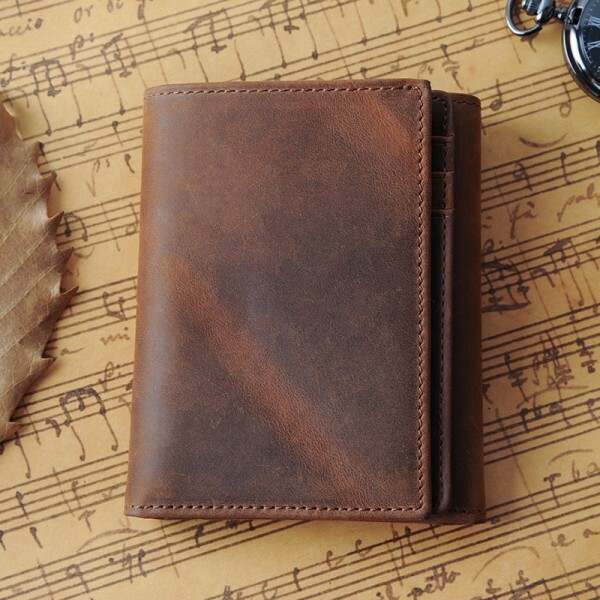 This wallet measures approximate 4'' x 4 6/8'' (10cm *12cm), and pretty slim: 4/8''(1cm). You can personalize it with names or initials of receivers. It has 6 card slots for 6-12 cards, 2 inside pockets for cash, separate bills or more card. The wallet will be delivered in a personalized wood gift box which also makes it an ideal gift. We usually ship the item out within 1weeks, if you need rush order, pls contact us. 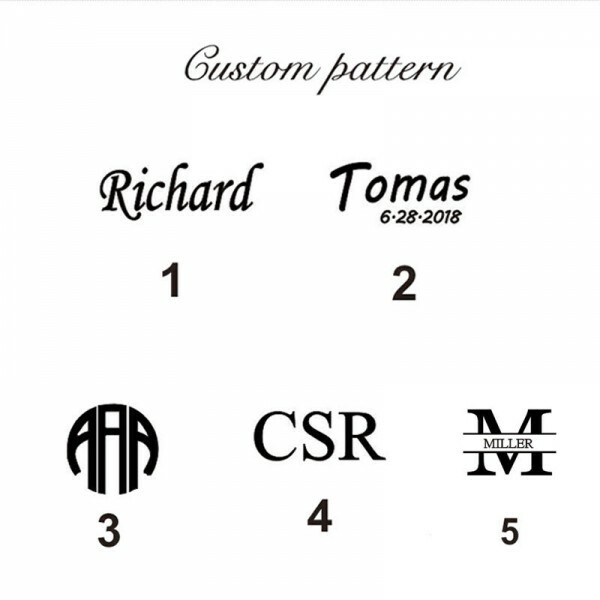 Question about Engraved Wallets is Successfully Submitted.